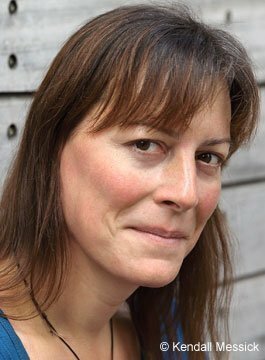 Rebecca Root is an award-winning actor and star of BBC Two sitcom ‘Boy Meets Girl’. Set in Newcastle-upon-Tyne, ‘Boys Meets Girl’ charts the relationship between Judy, a transgender woman, and Leo, who meet and fall in love despite a sizeable age gap. Rebecca trained as an actor at Mountview Academy of Theatre Arts, London, following two seasons with the National Youth Theatre of Great Britain. For over 25 years Rebecca has worked across a range of platforms, including television, theatre and film. Der Rosenkavalier (Royal Opera House, London). In August 2015 Rebecca appeared at the Edinburgh Festival Fringe in the award-winning Trans Scripts which presented the struggles and triumphs of six transgender women. Created by award-winning producer Paul Lucas, the piece was developed from interviews with the women whose experiences are reflected in this groundbreaking exploration of gender and identity. The production won a Fringe First Award and was awarded Highly Commended status in the Amnesty Freedom of Expression awards. Rebecca will appear in the American premiere production of the play at the American Repertory Theatre, Boston in 2017. On radio, Rebecca played the lead role in 1977, a BBC Radio 4 play about the life of the composer Angela Morley. She has also appeared on a variety of other Radio 4 programmes, including Saturday Live, Loose Ends and A Good Read. In 2015, she was a winning guest contestant on BBC One’s Celebrity Mastermind, with the specialist subject ‘The Novels of Graham Greene’. In addition to her acting work, Rebecca is also a respected voice coach. She gained her MA in Voice Studies from the Royal Central School of Speech and Drama, University of London, graduating with distinction in 2008. Her thesis, ‘There And Back Again: Adventures in Genderland’ attracted international attention; Rebecca presented it at Harvard University and it was published in The Voice and Speech Review. Rebecca Root is a regular participant in a wide range of projects, events and television and radio programmes promoting and discussing transgender issues. She has visited both The White House and Number Ten Downing Street to participate in LGBT and diversity events. In 2015, The Independent on Sunday included Rebecca at number 11 in their Rainbow List, the newspaper’s ‘annual celebration of 101 lesbian, bisexual, gay and transgender people who make a difference’. She is a patron of Diversity Role Models, an organisation which works to prevent homophobic and transphobic bullying in UK schools; and All About Trans, a project aiming to positively change how the media understands and portrays transgender people (and which was instrumental in establishing the Trans Comedy Award and subsequently the creation of Boy Meets Girl). Rebecca also works alongside Gendered Intelligence at workshops hosted by the NHS Tavistock & Portman Trust Gender Identity Clinic for transgender people below the age of 18.